Construction roll install at a site - gates cut on site as needed. 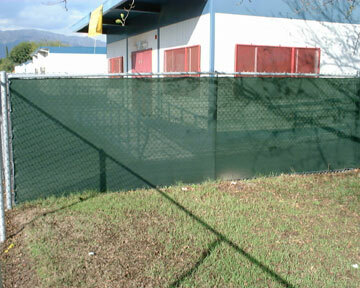 Construction screens comes in rolls or premade panels. We have in stock and can provide ASAP. 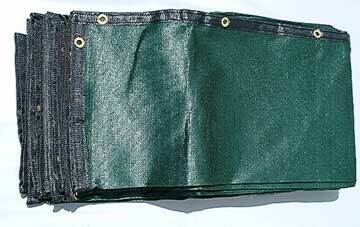 Green premade panels (90% density) with binding on all four sides and grommets every 18". Usually ships UPS by box. 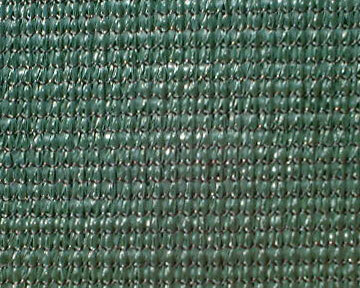 Green Construction Roll (90% density) -each 150' long: Does not have binding - but does have a strenghtened edge. Can be cut and folded back for different areas or gates. Usually ships UPS - or for large orders by truck. Special colors such as black, brown, blue, or beige can be special ordered for the rolls or panels - check with us for stock. If you need a sample - we would be happy to send you one. We often will cut and bind gate panels for orders as well. The premade panels and rolls can be installed with hogrings or plastic ties - we can quote on these items. We usually use hogrings as they are very strong and inexpensive. 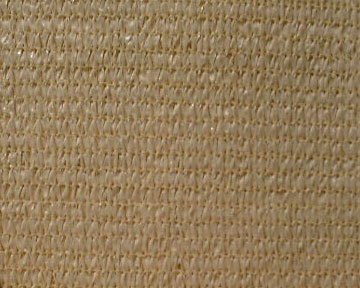 For best life and a good look, the material should be installed as tightly as you can with no wrinkles. 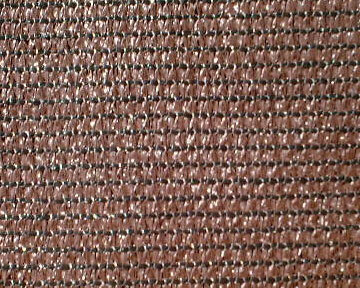 The fabric does have some stretch to it, so the material can be installed on fences that go up and down hills. Make sure to attach every grommet or every 12" to 18". These fabrics can last 5 years or more if installed well. 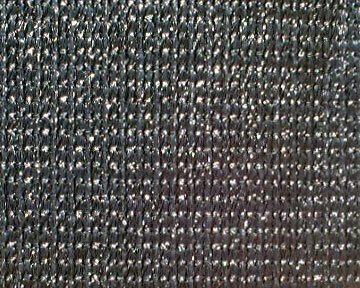 For longer lasting fabrics and for exact sizes- order our custom screens shown on other parts of our website. Roll sizes are about 10" across and the height in length. We ship via UPS everyday and have special rates with national truck carriers. We have shipped military orders as well. Our largest single order to date has been for over 6 miles of screen and it shipped abroad! We take payment by Visa, Mastercard, check, cash,and in some cases POs for first time orders. Special order colors below - we must check stock and confirm price. 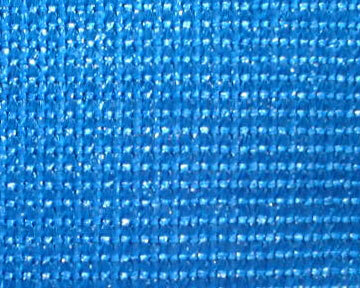 Special order fabrics cost on average $15 more per roll. Colors include beige, blue, brown, & black.